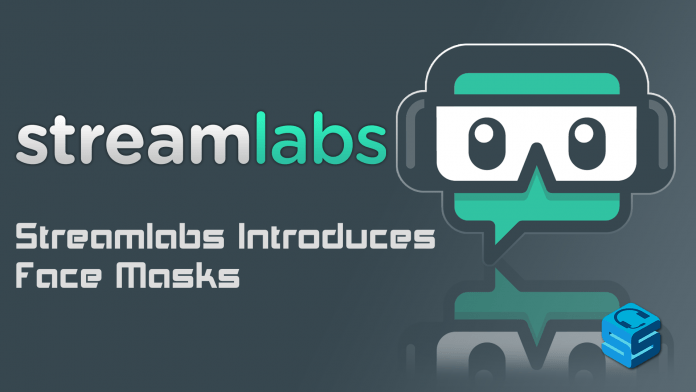 Home Graphics Streamlabs Introduces Face Masks! What’s one of the most popular things out right now, has the masses flocking to use it and taking over the nation by force? Filters! Yes, Filters! You have them on Snapchat, on Instagram, with your coffee. Yes, Filters are the new way of expressing yourself and showing where you are or how you feel. Having a dog day? There’s a filter for that. At the newest coffee shop? There’s a filter for that. Face Mask filters in action. Streamlabs has taken notice of this and worked it into their streaming software conveniently named Streamlabs Open Broadcaster Software, of SLOBS for short. If you haven’t heard of SLOBS, it’s a new version of OBS Studio but with all the functions (and more) of Streamlabs built straight into your software. No more needing to have a separate window open for your alerts, another for your notifications, and another for your settings. All things are built straight into the client including these filters! Streamlabs have designed a new system called Face Masks, in which the filter appears directly on the streamer’s camera when a tip happens. They are activated just like any other alert the Streamlabs. When a viewer is checking out, they have a variety of masks to choose from that stays in a constant rotation so the same mask isn’t constantly repeating itself. Once the tip and mask are settled, the alert is activated and the mask appears on the streamer’s camera. 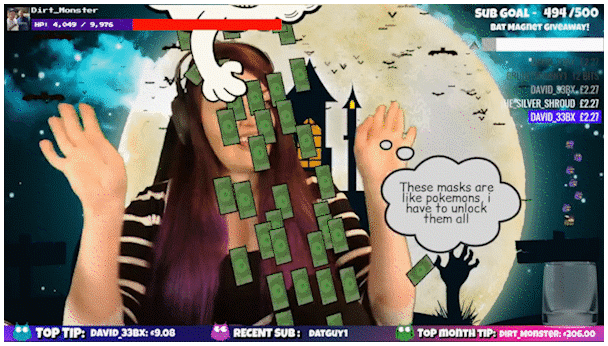 Not only does the tip help the streamer, it also goes towards unlocking new masks for the future! As you tip, you receive points that can unlock a variety of masks, all with different rarities and themes. Looking to expand your mask closet sooner than that? Mask Crates can be bought to unlock masks at a faster rate, although all 55 varieties of masks CAN be unlocked by simply tipping. New sets will continue to be released as time goes along, with older sets being retired. Face Masks are available now through Streamlabs Open Broadcasting Software!